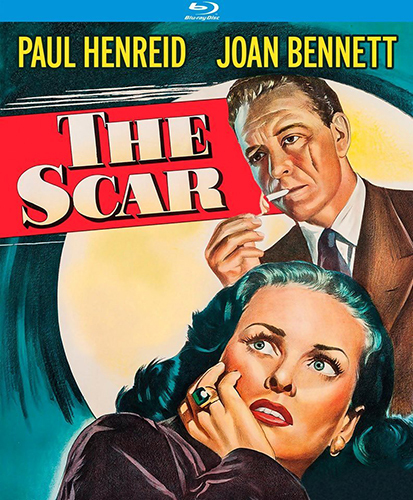 A film noir drama in which a sophisticated con man, who has just stolen from the mob, is forced to impersonate a psychiatrist who looks just like him, going so far as to cut himself on the cheek to duplicate a similar scar on the doctor. When he takes matters even further, karma arrives, forcing him to pay the debts of his double. Felix Farmer's (Richard Mulligan) latest movie flops – and lots of Hollywood types spring into action. Agents are called. Lawyers are retained. Statements are issued. 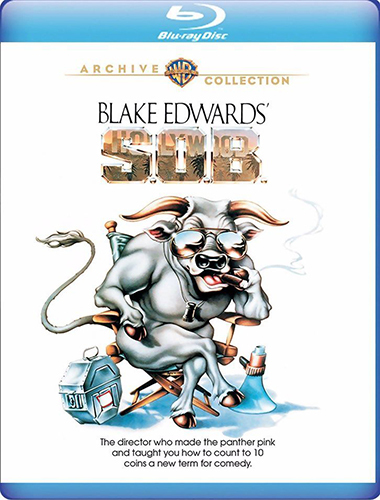 It's what master comedy director Blake Edwards calls "Standard Operating Bull," the subject of his gleefully satiric S.O.B. Julie Andrews is a wholesome superstar about to alter her image…radically. Aiding and abetting the madness are William Holden, Robert Preston, Robert Vaughn, Shelley Winters, Loretta Swit and more. Dialogue crackles like fat in a fire, gags range from dead-on deadpan to comedic broadsides, insights bristle and sting. Nothing standard here: S.O.B. is extraordinary. He wears a ratty old cardigan instead of tails, a battered felt hat in place of a topper — but one glimpse of those agile feet and you know he's Fred Astaire. 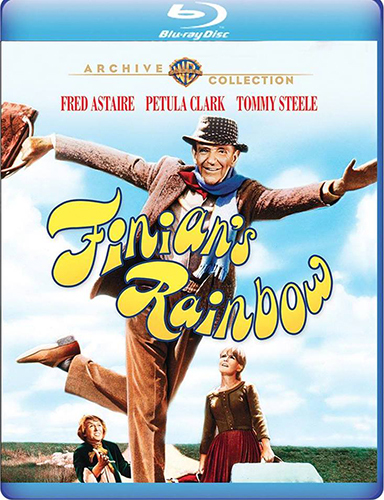 The great entertainer sang and danced his last musical lead in FINIAN'S RAINBOW, director Francis Ford Coppola's exuberant movie of the 1947 Broadway hit. Astaire plays an Irish rogue who plants a stolen crock of leprechaun gold in the soil near Fort Knox to reap what he thinks will be a rich harvest. In tow are his spirited daughter (Petula Clark), a lovestruck leprechaun (Tommy Steele) and a bigoted Southern senator (Keenan Wynn) transformed by misbegotten magic. 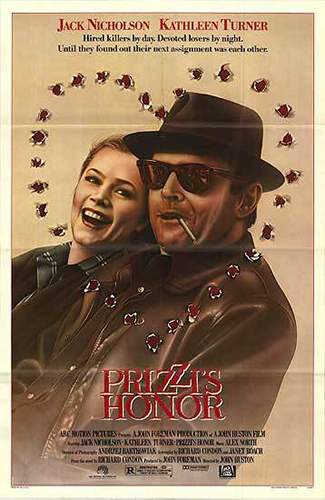 The Prizzi family's principal hit man, Charley (Nicholson) is about to discover that he and his new bride (Turner) share more than just body heat: They're both cold-blooded assassins and their next job is to ice each other! Now Charley must choose which contract to honor-the one to his wife or the one on his wife-in this "wickedly amoral black comedy" (Screen International)! Legendary producer Thomas H. Ince and director Irvin V. Willat made this---"the most outspoken of all the vengeance films" according to film historian Kevin Brownlow---during the period of World War I-inspired American patriotism. Hobart Bosworth stars as Oscar Krug, a working-class American, who is persecuted for his German ancestry after war is declared. Driven by patriotism, Krug enlists and goes to sea. However, tragedy strikes when his wife (Jane Novak) sneaks aboard his ship and is captured following a German U-boat attack. 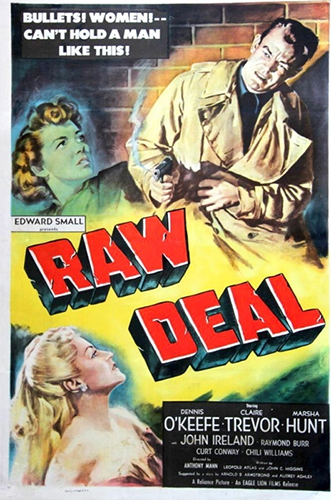 Krug's single-minded quest for vengeance against the sadistic German submarine commander (played with villainous fervor by Wallace Beery) leads to the film's shocking and brutal climax. 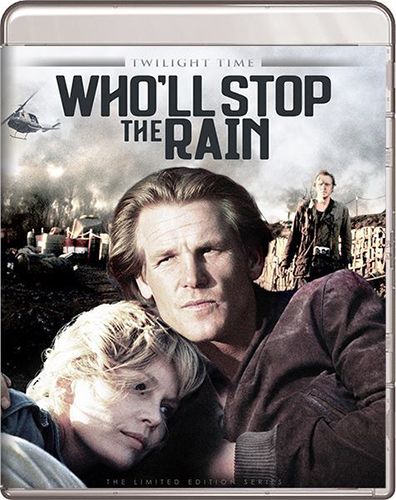 Sourced from the only two known remaining prints and referencing a copy of Willat's original continuity script, this edition recreates the original color tinting scheme and features a new score composed and performed by Stephen Horne. 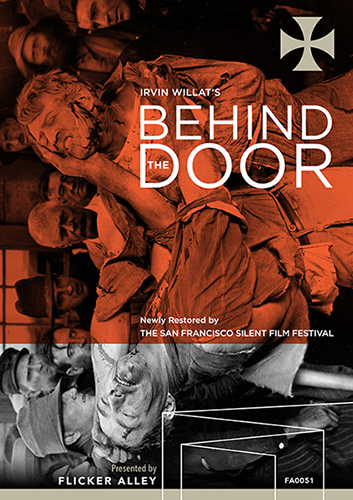 Flicker Alley is honored to present Behind the Door on Blu-ray (and DVD) for the first time ever. 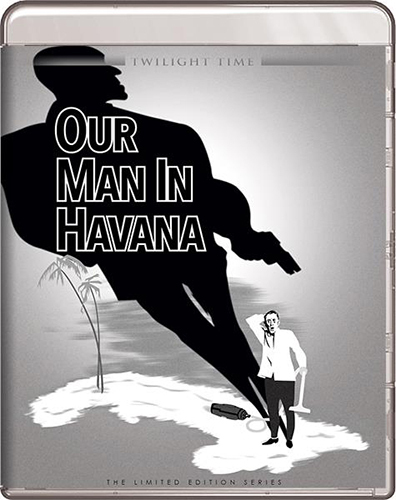 In pre-revolutionary Cuba, James Wormold (Alec Guinness), a vacuum cleaner salesman, is recruited by Hawthorne (Noël Coward) of the British Secret Intelligence Service to be their Havana operative. Instead of recruiting his own agents, Wormold invents agents from men he knows only by sight and sketches "plans" for a rocket-launching pad based on vacuum parts to increase his value to the service and to procure more money for himself and his expensive daughter Milly. 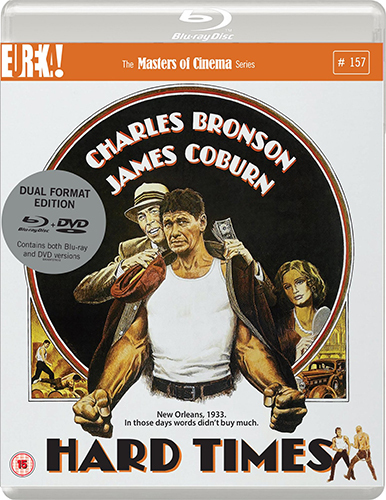 Classicflix officially announced today that it will begin releasing on Blu-ray in the United States. The label's first two releases will be Irving Rapper's Another Man's Poison (1951) and Edwin L. Marin's Miss Annie Rooney (1941). The label has confirmed that its upcoming releases will be sold at all major online retailers, including Amazon. In her first role since starring as Margo Channing in the Academy Award-winning All About Eve (Best Picture, 1950), Bette Davis plays mystery writer Janet Frobisher, a cold and conniving woman who will stop at nothing to get what she wants -- and what she wants at the moment is her secretary's fiancé Larry (Anthony Steel). But Janet's plan hits a snag when her estranged husband shows up unannounced after attempting to rob a bank. 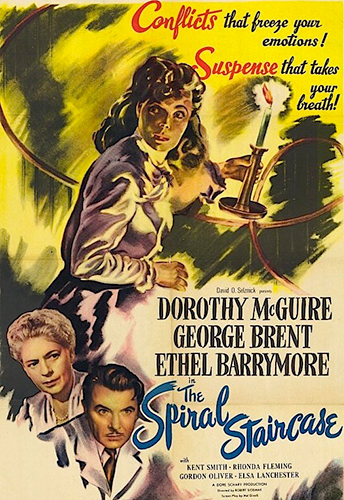 Her husband's partner in crime, George (played by real-life husband Gary Merrill), further complicates matters for Janet when he pays her a visit later the same day. Getting rid of one of them proved easy. The other, not so much. 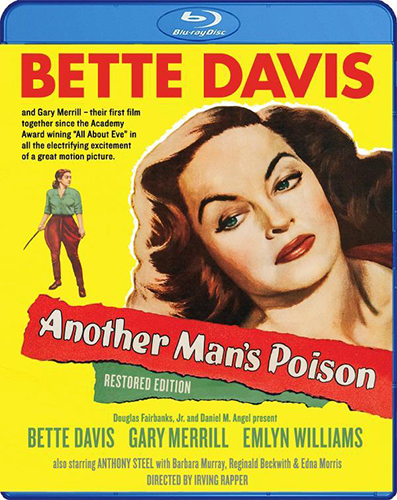 Filmed in England and co-produced by Douglas Fairbanks, Jr., Another Man's Poison presents the dynamic Bette Davis at her devious and beguiling best. After a terrible car accident twenty years ago killed his father and sister, a man returns to his family home with his wife and daughter. The daughter takes up residence in her deceased aunt's room and, after finding some of her possessions, becomes possessed by her spirit. 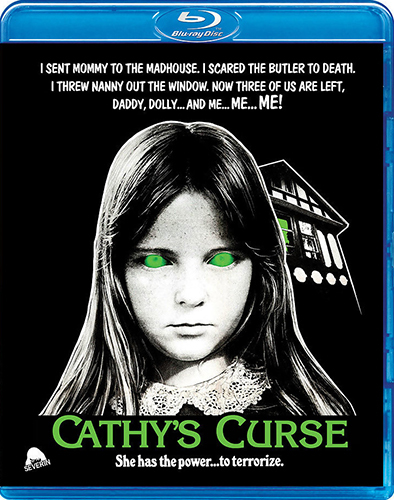 Soon strange happenings and mysterious deaths begin to occur in the household as the possessed girl lashes out at those around her. Thought this was a notable (though possibly temporary) problem with 4K UHD blu-ray at the moment, taken from blu-ray.com’s review of the Goodfellas UHD blu-ray. The UHD disc of Goodfellas is based on the same 4K scan of the original camera negative that was used to generate the 25th Anniversary Edition Blu-ray. This new version is something of a landmark for Warner Brothers, because Goodfellas is its first "deep catalog" release in what remains a fledgling format. All of Warner's previous 4K discs to date are 21st Century films completed on digital intermediates, but Goodfellas is entirely a product of the analog era, which constitutes the bulk of cinema history. 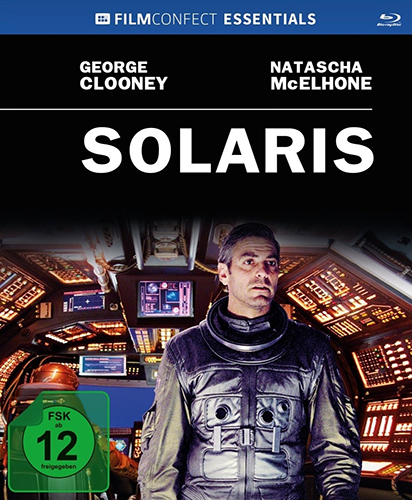 This makes it an informative preview (along with such Sony titles as Ghostbusters and Ghostbusters II) of how older titles originated on film and completed photochemically may fare in the brave new world of 4K and High Dynamic Range. Before turning to the UHD of Goodfellas, let me take a short detour to discuss calibration. The gold standard of calibration has been set by the Imaging Science Foundation (or "ISF"), which was created in 1994 to establish standardization in electronic imaging. Calibrators trained and certified by the ISF are routinely retained to adjust and confirm the accuracy of the displays used in post houses and DI suites, and they are also hired by home theater installers and enthusiasts to provide the same services for consumer equipment. ISF calibration requires several key components. These include a colorimeter for measuring a display's light output, color values and wavelengths; and a signal generator to feed the display standardized test patterns that can be measured by the colorimeter. Top quality colorimeters are expensive devices that cost more than the average home theater, and their proper use depends on an intimate understanding of the underlying technology—which is why accurate calibration requires the hiring of a properly trained and equipped professional. The challenge of 4K and HDR at the moment is that no signal generator currently on the market is capable of supplying the requisite test patterns. Most importantly for present purposes, these test signals would include an HDR-graded PLUGE pattern, which is an essential tool for setting black levels. In the absence of any standardization, calibration for 4K and HDR has remained a moving target, and this limitation affects the entire UHD chain, from creation to playback. A small group of technicians has coordinated with industry representatives to develop a 4K/HDR test disc that can be used for ISF calibration. Although the disc is not yet widely available, I am fortunate enough to work with one of its creators, Kevin Miller, who is both a charter member of the ISF and its officially designated Technical Consultant. Recently, Mr. Miller used this disc to re-calibrate my system for HDR color and black levels. All of my UHD reviews written since that procedure bear the paragraph in italics below, specifying the calibration equipment and methodology. Even before the latest calibration, it was obvious that the 2160p, HEVC/H.265-encoded UHD of Goodfellas suffered from black-level issues. Since the procedure, I have rewatched the disc several times. In comparison to the Blu-ray, the UHD reveals a slight (a very slight) increase in visible detail and grain, but the improvement continues to be overshadowed (literally) by improper black levels that cast a haze of overbrightening across the entire frame. The effect is most pronounced in scenes set in darkened interiors such as clubs and bars—and there are many such scenes in Goodfellas. A good example is the bar scene (chapter 33) in which Henry Hill (Ray Liotta) narrates the planning for the Lufthansa heist, while the camera picks up each member of the crew being assembled by Jimmy Conway (Robert De Niro). The last to enter is "Stacks" Edwards (Samuel L. Jackson), and as he walks away from the camera into the back of the bar, the outline of his figure softens and the details fade. The same phenomenon can be observed after the heist, when Jimmy is celebrating at the same bar, but his jubilation turns to fury when he discovers that members of the crew have disobeyed his orders not to attract attention with luxury purchases. In scenes such as these, the UHD's image is routinely less distinct and detailed than the Blu-ray's, because the blacks are too bright. The UHD's colors appear to have been slightly intensified compare to the Blu-ray, with reds and blues the chief beneficiary, but here again the overbrightening tends to undercut any improvements by dampening color intensity. Like other studios, Warner touts HDR as a major enhancement, but the UHD presentation of Goodfellas demonstrates that the HDR sticker prominently affixed to every 4K title does not necessarily guarantee a superior image. While the 4K image could no doubt be re-graded with accurate black levels, it is uncertain whether and how much the corrected image would offer any meaningful improvement over the Blu-ray. Regardless, Goodfellas stands as a demonstration of why HDR is not automatically a benefit. As UHD progresses, it may turn out that some—possibly many—older films should be left in SDR, without any attempt to "enhance" their blacks, contrast or colors. John Converse (Moriarty), a disillusioned war correspondent, approaches Ray Hicks (Nolte), a merchant marine sailor and acquaintance of Converse's from the US, for help in smuggling a large quantity of heroin from Vietnam to San Francisco, where he will exchange the drugs for payment with Converse's wife Marge (Weld), who has become addicted to Dilaudid. 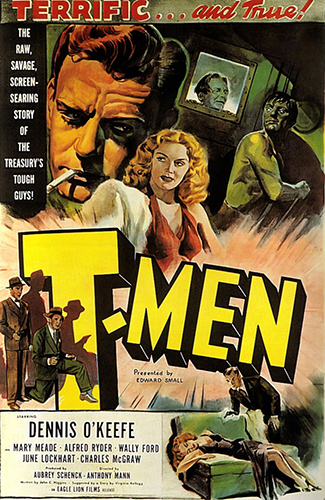 When Hicks discovers he is being followed by thugs connected either to Converse or his suppliers, he goes on the run with Marge and the heroin, and is eventually pursued by the corrupt DEA agent (Zerbe), who initially set the deal in motion. As Marge is separated from her supply of prescription drugs, she experiences withdrawal, and Hicks decides to help her wean off her dilaudid addiction by using the heroin. Hicks also attempts to find another buyer for the heroin before his pursuers can catch up to him. Dennis O'Brien is a treasury agent determined to bring a counterfeiting ring to justice. O'Brien and his partner Tony Genaro go undercover to gain the confidence of the ruthless Detroit mob responsible for the phony money. 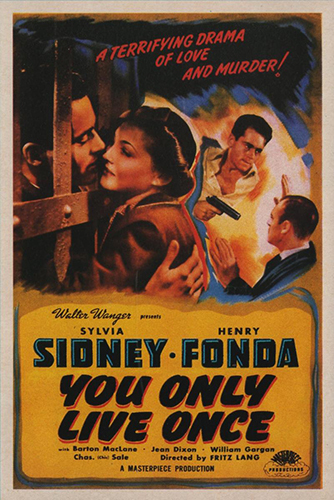 Convicted felon Eddie Taylor ( Academy Award-winner Henry Fonda) decides to lead the straight life with his devoted girlfriend, Joan (Sylvia Sydney), who arranges for his early parole. Ignoring her relatives' advice, Joan decides to marry Eddie, who she believes is an essentially decent guy who had a few tough breaks in life. However, a bank robbery gone bad points accusing fingers at the innocent Eddie, who finds his life crumbling around him. Swearing his innocence, Eddie takes Joan on the lam in a cat-and-mouse chase with the law closing in just a few steps behind them! 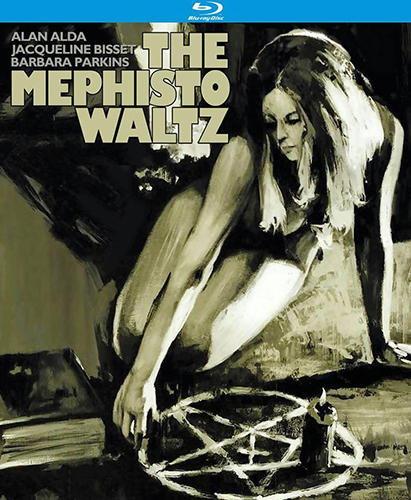 This haunting and beautifully stylish gem from master director Fritz Lang (M, Metropolis) was the first of his remarkable film noir classics, including The Big Heat, Scarlet Street, The Woman In the Window and Clash By Night. Hard-hitting and unforgettable, this exciting tale of crime and revenge inspired numerous "criminal lovers on the run" films like Bonnie and Clyde and The Getaway and remains a searing, tragic and romantic exercise in suspense! 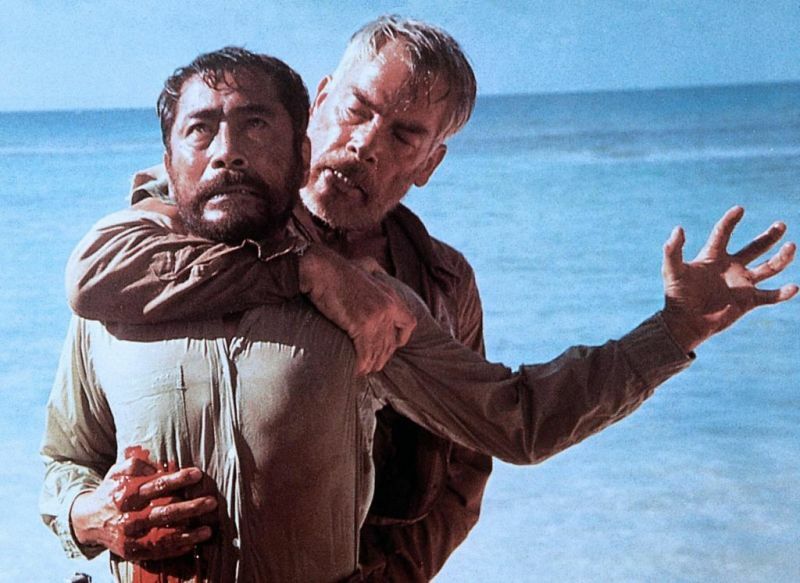 An adventure about two wartime enemies trapped alone on a desert island. 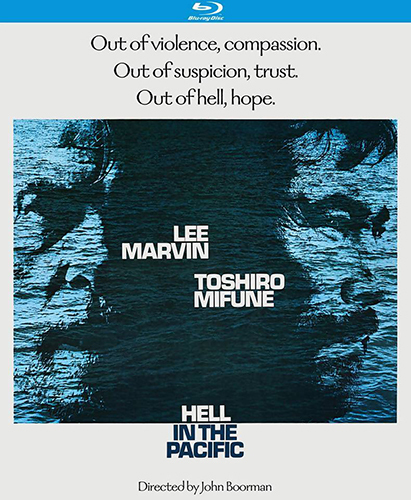 Academy Award winner Lee Marvin (The Dirty Dozen) and Toshiro Mifune (The Seven Samurai) deliver "striking and well-etched performances" in this searing psychological drama. 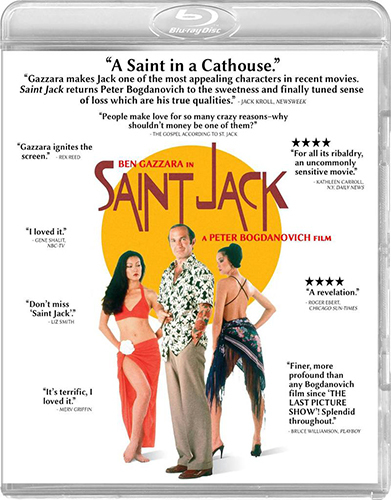 Peter Bogdanovich’s Saint Jack (1979) on blu-ray from Scorpion Releasing, from an HD master of the original camera negative, limited to 1,500 copies. To be sold exclusively through Screen Archives, Diabolik DVD, and Ronin Flix.